Richardson Electronics is the world’s leading supplier of the highest quality replacement RF tubes for CO2 lasers, including the RS3021CJ and RS2048CJC, at competitive prices. We maintain an extensive global network of inventory to ensure same day shipping to meet your needs. 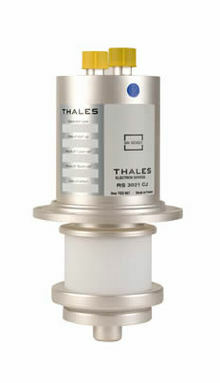 Our complete line of replacement tubes are manufactured by the world’s leading power grid and special purpose tube manufacturers, including THALES, National, and Toshiba. In addition to our CO2 laser offerings, Richardson Electronics is a leading supplier of hydrogen thyratrons for Excimer lasers used in industrial and medical applications.